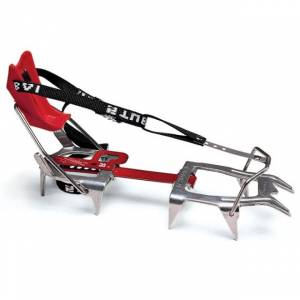 Stubai Alpine & Ice Climbing Ultralight - Universal 421100. 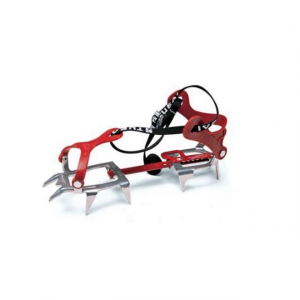 This crampon lives for trekking glacier travel or steep couloirs and snowfields. 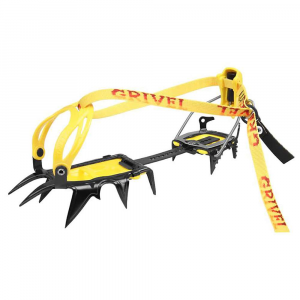 Totally adjustable Zytel straps make this crampon durable and easy to use. Fits everything from moon boots to flip-flops. 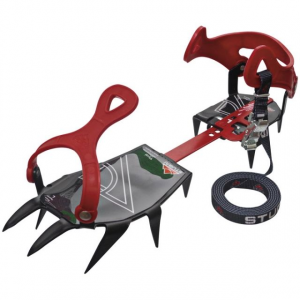 This is Stubai's lightest crampon available. 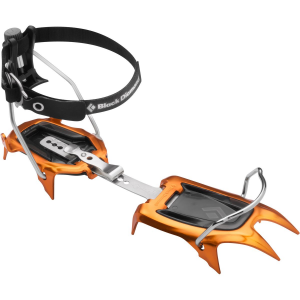 Lighten your load with these lightweight 10-point crampons, made from strong aircraft-quality aluminum. 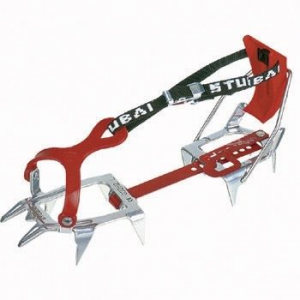 Tough and durable aluminum alloy allows the weight to be reduced 40% or more compared to steel crampons. 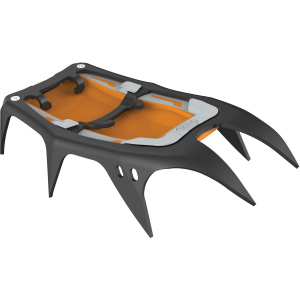 Zytel binding system is fast, secure and works with a variety of footwear. Easily adjusted in the field. One size fits most adult boots.